Beyond its place in Official Dress, an FFA corduroy jacket is an article of faith, honor and pride. The jacket unifies members in a long-standing tradition and reminds them that they are part of something larger than themselves. Let’s give every member the chance to be part of the tradition. 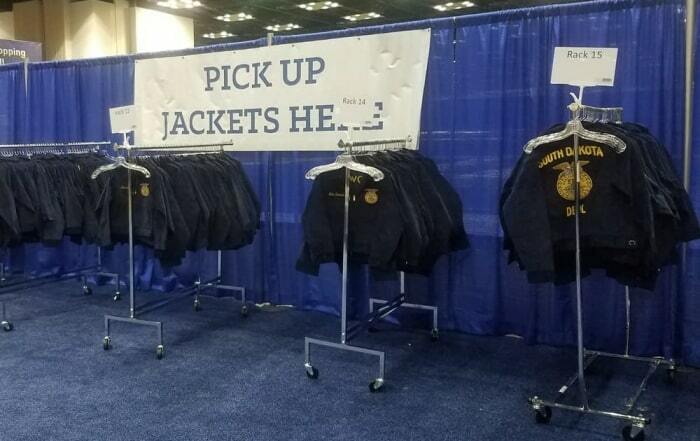 With generous gifts, the National FFA Organization is able to gift jackets to members who would not otherwise be able to own their own jacket. Did you know that not everyone can wear the official FFA jacket? 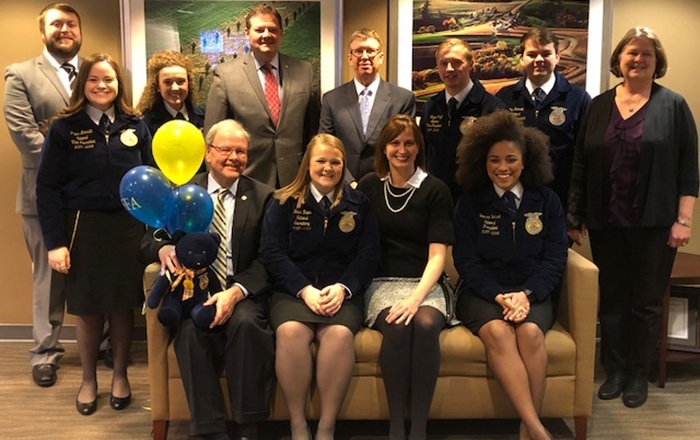 As we celebrate more than 85 years of the official FFA jacket, we know that symbolic blue corduroy is far more than Official Dress, but an icon of an American tradition–instilling pride and responsibility in those who wear it. But not everyone can wear the jacket. Not because they don’t deserve to…but because they can’t afford to. To meet this need, we need generous gifts from supporters like you! When you Give the Gift of Blue, you give a member the chance to wear a piece of history to experience the pride of wearing their own blue jacket. The National FFA Organization is a non-profit 501 (c) 3. Your donation is tax deductible. Upon completion of your donation, you will receive an email receipt for your tax purposes. Do you want to apply or nominate someone for an FFA Official Jacket? Since the start of the program, more than one hundred individual and corporate donations as well as donations from many local chapters and state associations have been received. 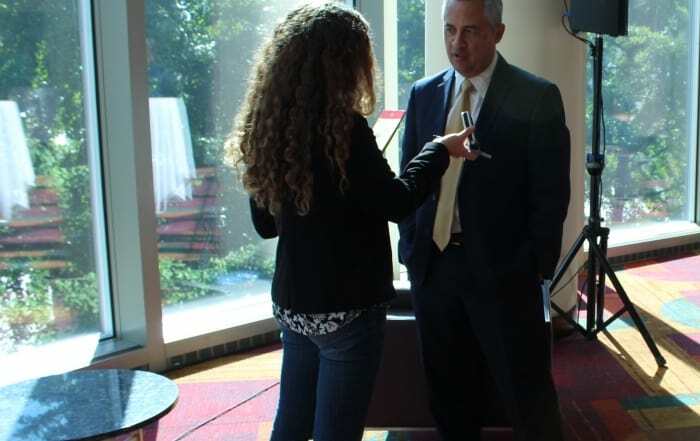 Donors to Give the Gift of Blue include CSX, Valent U.S.A. Corporation and their parent company Sumitomo, Ram Trucks, Tractor Supply Company, John Deere, Elanco and Don and Mira Ball. The Ball’s donation will create an endowment to the National FFA Foundation for the Give the Gift of Blue program. Since January 2014, more than 3,500 jackets have been gifted to deserving students in 49 states. If you have any questions please contact GiveBlue@FFA.org.